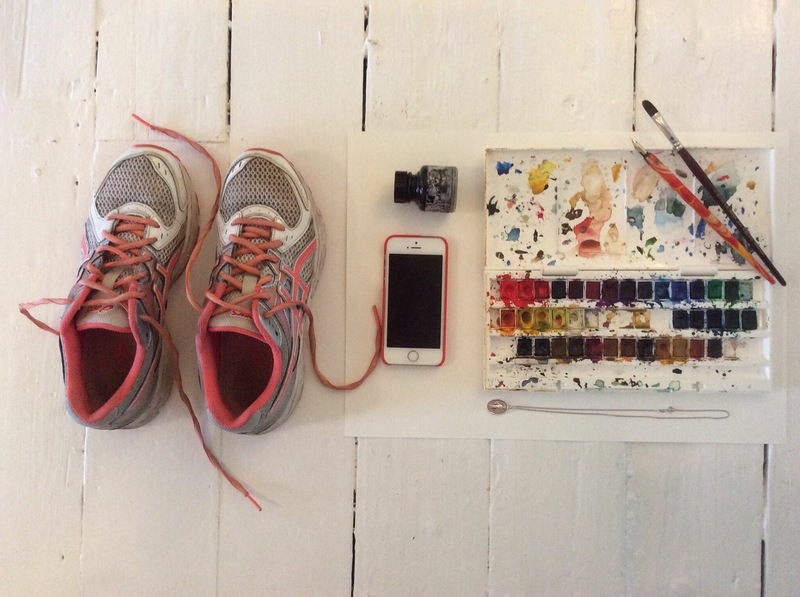 #yourfive by @clarefisherart My five most important posseions are my ink and paints. I draw and paint every day. My trainers because running keeps me sane and healthy. My phone to capture and save images and keep me connected with my friends and family. And my miraculous medal, my nana gave me. I’ve worn it everyday for about 10 years so it feels part of me.